The Skolkovo teams at the Global MBA Trophy in Piraeus, Greece brought home first and third place in an impressive show of strength in the Platu 25 class. This was the first regatta in the Sunsail MBA Global Sailing League 2015. Skolkovo 1 led from the start of the regatta and brought home a 1-1-(2)-1-1-2 to win the trophy with 6 points, comfortably ahead of second place LUM with 8. LUM won the two races that Skolkovo 1 didn’t, came second in 3 others and discarded a DSQ. Skolkovo 3 scored 14, coming 3rd in all but one races. 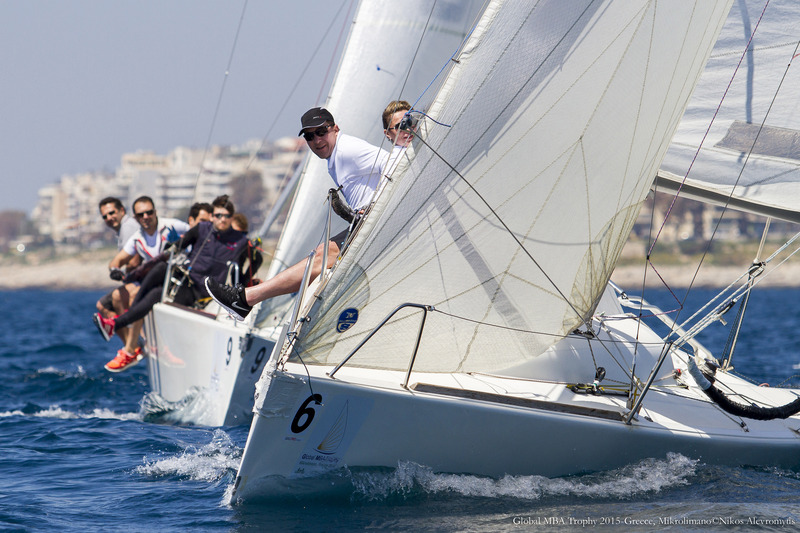 The regatta, in its 11th edition, took place on the waters of Faliron bay in Piraeus, with the on- shore activities centres on the harbour of Microlimano. The event was organised by London Business School, with the race committee and other support provided by the Yacht Club of Greece, the boats by the Greek Platu 25 owners association and logistics by Sail PROmotion. Twelve teams will be vying to cross the start line first on Friday 17th April off Microlimano port in Pireas, Greece as the 2015 Sunsail MBA Global Sailing League kicks off. The 2014 league champions, London Business School are hosting the event, and have one team in the A division. Defending regatta champions, Skolkovo have entered two boats. Expect big things from RSM regatta champions LUM, while INSEAD will be looking to do better than last year’s third place. The regatta takes place over two days in Farr- designed Platu 25 keelboats. A B division, racing 40- ft boats will also take part. Competitors are welcome in the race village from Thursday 16th. 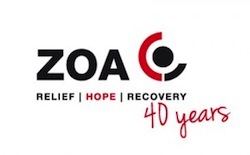 They will be hosted to a dinner on Friday evening and a gala prizegiving at the Yacht Club of Greece on Saturday 18th. London Business School’s consistent performances in 2014 have delivered them their third MBA Sailing league championship in a row. LBS didnt finish lower than 5th in any of this year’s five qualifying regattas, winning at the Cranfield regatta, coming second at the Global MBA trophy and third at the RSM regatta. HEC made a strong showing in second place, despite missing the Global MBA trophy’s A division and the RSM regatta. INSEAD, 2011 winners and runners- up in 2012 and 2013 could only manage 5th, after missing the Cranfield regatta and finishing 12th at the Rolex MBAs regatta. Kelloggg/WHU were 3rd and Bocconi 4th. The team from Moscow’s Skolkovo School of Management scored a near perfect 6 points from 5 races to announce their presence on the MBA sailing circuit, leaving the rest of the pack trailing in their wake. 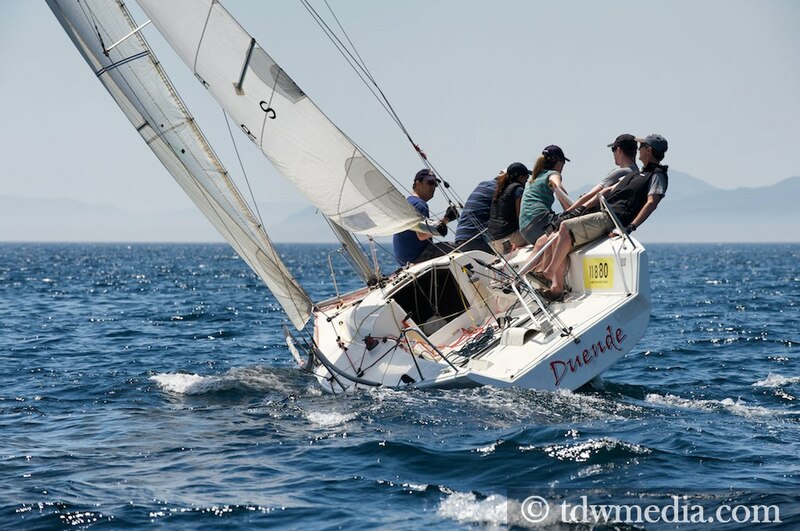 The Global MBA Trophy regatta, in Piraeus, Greece, saw 8 teams competing in Platu 25 Sportsboats in Division A and 3 teams compete in Bavaria 42s in Division B. 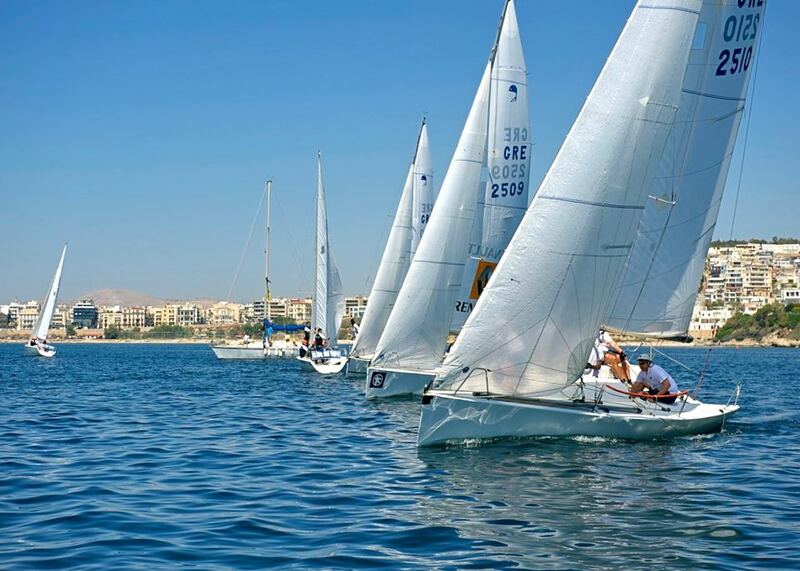 Leave a comment Skolkovo announce their presence on the MBA sailing circuit with a big win in Greece!